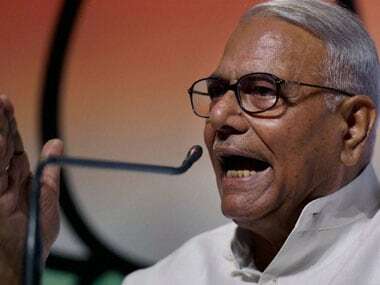 New Delhi: A defiant Yashwant Sinha on Thursday stuck to his stand on his criticism of the government, saying he had to go public with his views on the state of economy because the doors of Prime Minister Narendra Modi and the BJP were shut for him. Sinha also felt that if his son and Union minister Jayant Sinha was asked to write an article rebutting his views as published in a newspaper, then it was a "cheap trick" of pitting a son against the father. If Jayant was competent to answer the questions raised by him, why was he removed from the finance ministry, the senior Sinha asked. Talking to TV channels a day after his stinging critique of the government's management of the economy created a storm, the veteran BJP leader said the previous Congress-led UPA regime could no longer be held responsible for the mess Indian economy was in today. He had a word of advice to the government: If people like former prime minister Manmohan Singh and former finance minister P Chidambaram speak on the economy, the government should listen to them. Civil aviation minister Jayant Sinha, without naming his father, claimed on Thursday in an article in the Times of India that his father had missed the fundamental structural reforms initiated by Modi that were transforming the economy. Modi re-tweeted Jayant Sinha's published article. The government also rubbished Yashwant Sinha's criticism, citing that the International Monetary Fund (IMF) and UN bodies were hailing India as one of the fastest growing economies. Stepping up his attack against the government, Yashwant Sinha, who was finance minister in the Atal Bihari Vajpayee government and is still in the BJP, reiterated that the finance ministry failed to address the problem of reviving stalled projects and sort out issue of non-performing assets (NPAs) of banks. He again said that demonetisation and the GST that followed were massive disruptors of the economy, which had been growing slowly in the last six quarters. 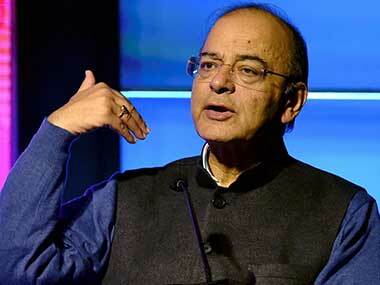 He said the fall in growth in the latest quarter made him speak up in national interest. "I am not frustrated. I deliberately chose this. I will speak on national issues. I cannot be kept silent on national issues." He said last year he went to Jammu and Kashmir as part of efforts to find a solution to the festering unrest and wanted to meet the prime minister. "It is 10 months since I had sought an appointment and I am yet to get it. "There was a constant downfall in the economy but I did not speak. We cannot blame the previous government any more because we have been in power for 40 months and got full opportunity to correct things," said Sinha, responding to claims that it inherited an economy in a bad shape from the UPA. 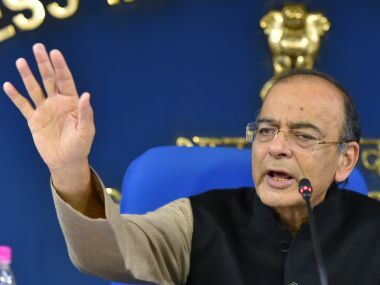 He blamed finance minister Arun Jaitley for the mess and said Jaitley should take the primary responsibility for the economic slowdown though Modi was a participant in the decision making. "The first serious task of the government should have been to solve the NPAs issue plaguing the banking sector and holding back the economy. Around 40 months have elapsed since the government took over and the bad loans crisis looks nowhere near resolution." 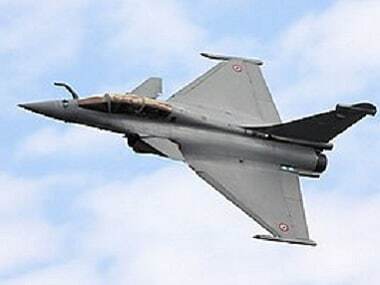 His son Jayant Sinha, the aviation minister, argued that newspaper articles written recently on the Indian economy were written from "a narrow set of facts, and quite simply miss the fundamental structural reforms that are transforming the economy". The senior Sinha said he had not judged the economy on the basis of one quarter. "The economy is not something that can be fixed overnight. No one has a magic wand. It took us four years to get the economy back on track (during the Vajpayee government)." Asked about the defence of the government by home minister Rajnath Singh and Railway Minister Piyush Goyal, Sinha said: "Rajnath Singh and Piyush Goyal seem to know the economy better than me. So they think India is the backbone of the world economy. I politely disagree." The former minister got support from within the BJP when MP Shatrughan Sinha described Yashwant Sinha as "a true statesman and a tried and tested man of wisdom" and said he showed the mirror on the Indian economic condition. Law Minister Ravi Shankar Prasad rejected Sinha's criticism. 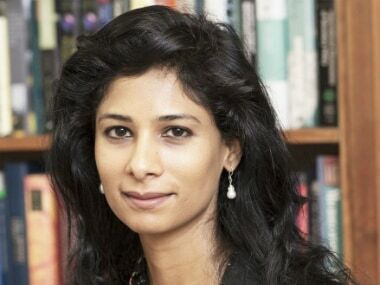 "Forget us, why is the IMF saying India is the fastest growing economy in the world? Why are UN bodies saying India has the fastest economic growth not just in 2016 but also in 2017..."